Product #18331 | SKU LC-2J | 0.0 (no ratings yet) Thanks for your rating! 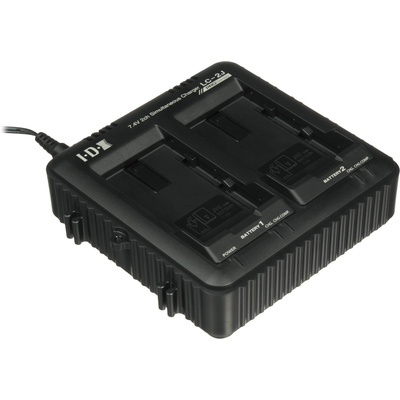 The JVC LC-2J Dual Charger for SSL-JVC50 7.4V Batteries can simultaneously charge two SSL-JVC50 7.4V batteries. SSL-JVC50s are JVC-packaged IDX batteries for the GY-HMQ10, HM600, HM650 JVC camcorders.